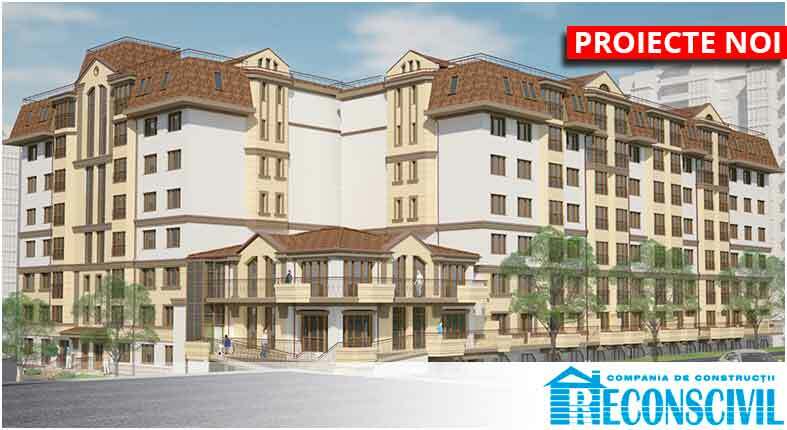 Reconscivil Company announces the start of construction of two new facilities on the street Ion Creanga (Buiucani), and on the prospect of Mircea cel Batran (Ciocana), which are two multifunctional residential complex with built-in commercial premises and individual garages. At the sites are also designed space for temporary parking lot, playground, meeting all town-planning regulations. Use the period beginning bronirovaniyaeshite, deciding where it will be your new apartment. Only this time you have the opportunity to choose an apartment according to your requirements and preferences! For the period to 10 working days to book the apartments – for free. First payment – 30% of the purchase price. Installment for the period from 2 to 4 years. Providing discounts! RECONSCIVIL – it is more than an ordinary construction company, it is also the general contractor, which has proved that it can effectively carry out construction projects management trusted him. Copyright © Reconscivil 2016. All rights reserved.